Bubble Kern is based on the shape of surrounding outlines you draw, which is considered a bubble. 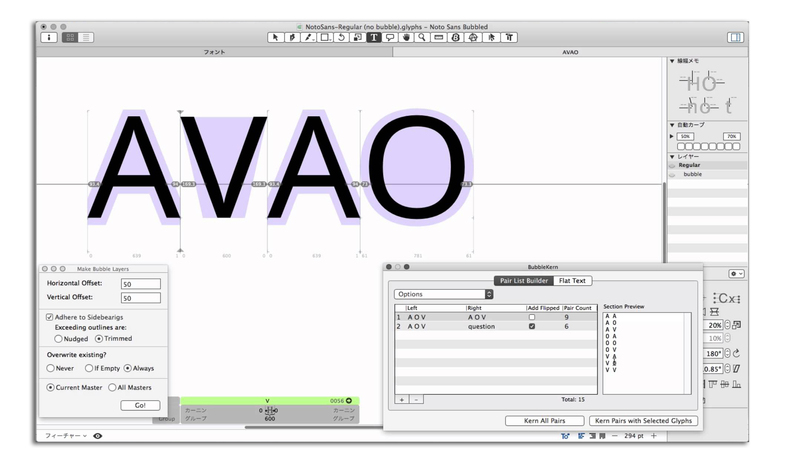 BubbleKern automatically kerns the typeface using this bubbles. This is a learning tool to help you understand kerning concept and to improve and make easier the kerning process.